Schmelz Countryside Alfa Romeo & FIAT is happy to bring the latest lineup of FIAT 500 cars to the St. Paul and Minneapolis, Minnesota area. 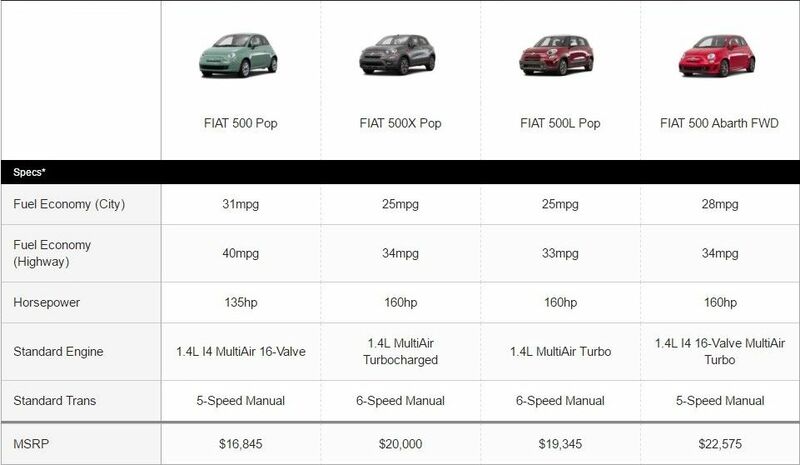 Here’s a quick comparison of four of the most popular variations of the FIAT 500 to help you decide which is the one for you. 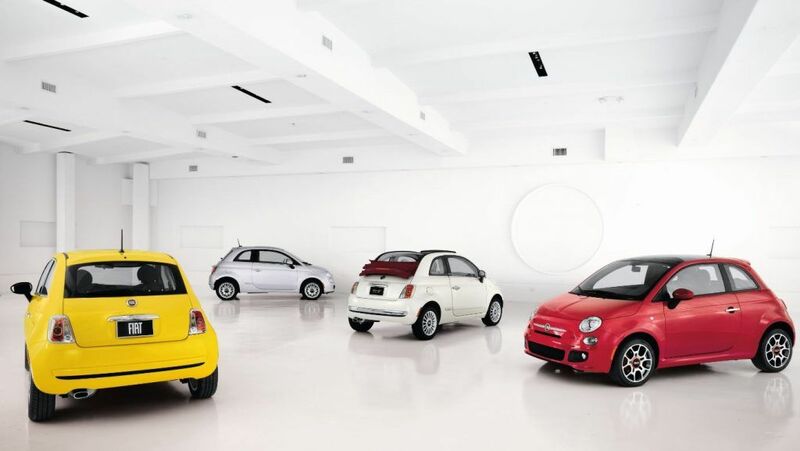 We can get a good idea about the range of FIAT 500 models by comparing the base model, or ‘Pop’ builds. As a compact, the standard FIAT 500 Pop is built for fuel economy, surpassed only by the FIAT 500e. Note that the FIAT 500c shares the same specs with the standard FIAT 500, with an added convertible top and a higher MSRP. The FIAT 500 Abarth is the sportier cousin of the standard model, with a turbo version of the I4 16-valve MultiAir engine that bumps the 135 horsepower up to a delightful 160. The standard two-door compact is maybe a little too, how do you say? European for some Americans. In response, FIAT has developed the larger FIAT 500L, with a roomy cabin, four doors, and a heftier engine that gets 160 horsepower. However, larger size does mean a more limited fuel economy. The FIAT 500x also expands the chassis size, this time as an SUV-style crossover, with added space, utility, and a few more amenities over the standard. The added room and cargo space of both the FIAT 500L and FIAT 500x is ideal for a family with kids, and are much more conducive to camping trips and long drives. Each model manages to keep that distinct Italian-designed FIAT character, so the decision will most likely come down to your specific lifestyle needs-fuel economy, a sporty engine, or a more spacious interior and two or four doors. Keep in mind that we’ve only compared the base models here, so be sure to ask the friendly and knowledgeable associates at Schmelz Countryside Alfa Romeo & FIAT about the various builds and trims of each FIAT 500 model.